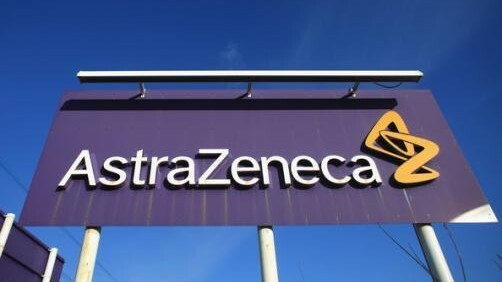 The European Commission has approved AstraZeneca’s immunotherapy drug Imfinzi (durvalumab) in a kind of lung cancer that was previously only treatable with chemotherapy. The drug was given the go-ahead for the treatment of locally-advanced, unresectable non-small cell lung cancer (NSCLC). It is the only immunotherapy medicine approved for the treatment of this type of cancer. In February, the US Food and Drug Administration (FDA) granted approval for expanded use of Imfinzi to treat people with the same condition. Imfinzi has so far failed to produce results in the lucrative first-line lung cancer indication – but the approval will allow AZ to carve out a niche for the drug in a use where immunotherapy competitors like Merck & Co and Bristol-Myers Squibb are not present. The outcome of a phase III trial, PACIFIC, demonstrated that the progression-free survival (PFS) and overall survival (OS) primary endpoints had been met. Progression-free survival of more than 11 months was proven. Further details of the OS results will be presented tomorrow at the Presidential Symposium at the World Conference on Lung Cancer, when they will be made public. Dr Luis Paz-Ares, co-principal investigator of the PACIFIC trial, from the Hospital Universitario 12 de Octubre, Madrid, said: “Lung cancer is the leading cause of cancer-related death in Europe and approximately a third of European patients with NSCLC present with locally-advanced disease. “For decades, the standard of care for these patients has been chemotherapy and radiation therapy followed by active surveillance, after which the majority of patients progress to advanced disease. Imfinzi is a human monoclonal antibody that works by countering the tumour’s immune-evading tactics and releasing the inhibition of immune responses from the patient’s body. Around one-third of NSCLC cases are stage III and the majority of these patients are diagnosed with unresectable tumours. This type of cancer affected around 105,000 patients in the top-eight countries (China, France, Germany, Italy, Japan, Spain, UK, US) in 2017. Last month, Merck & Co’s Keytruda became the first anti-PD-1 approved by the FDA in the first-line setting as both combination and monotherapy in certain patients with metastatic NSCLC. Overall survival results from AZ’s Imfinzi and tremelimumab in combination in first-line lung cancer are due in the coming weeks from the MYSTIC trial. However the expectation is that the readout will be negative, as results published last year showed there was no significant improvement in progression-free survival.